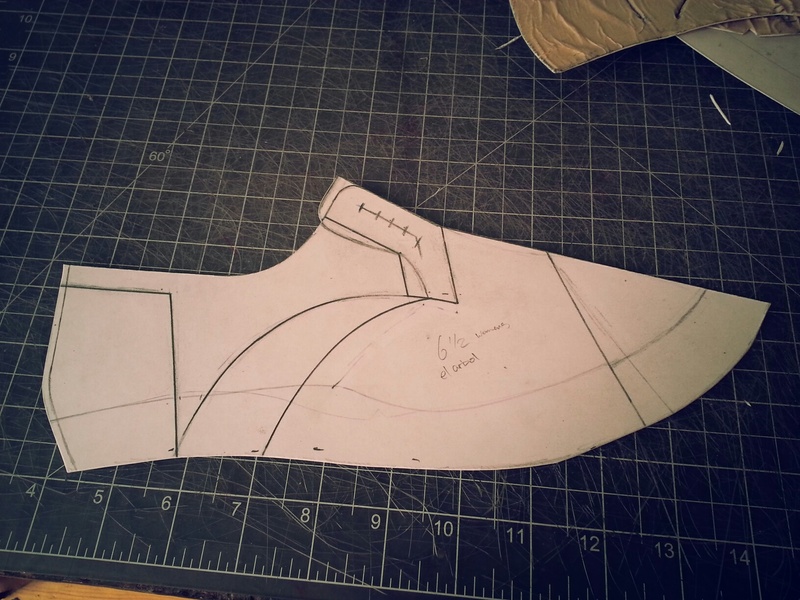 I haven’t posted in a while because I have been working on nothing but patterns and fittings which aren’t the most exciting moments of shoemaking (in my opinion). 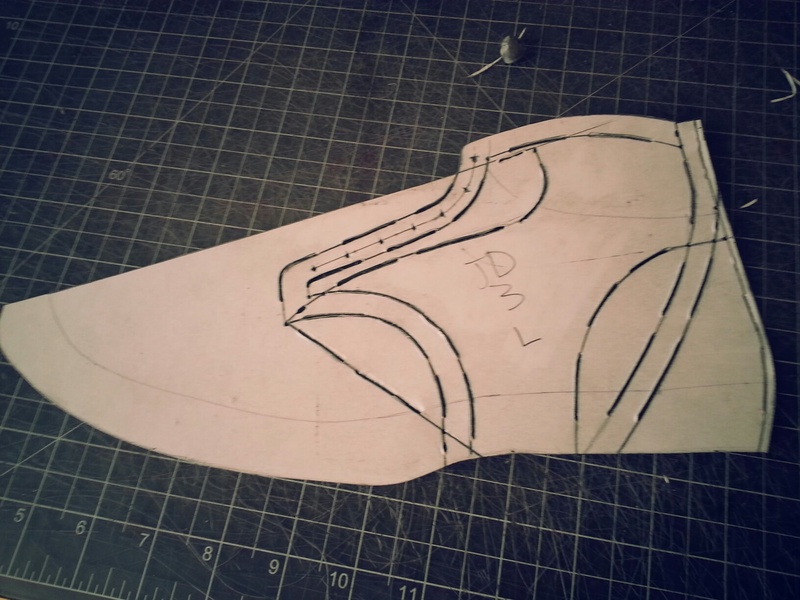 After giving it thought I realized I should explain the birth of a new shoe in my process. 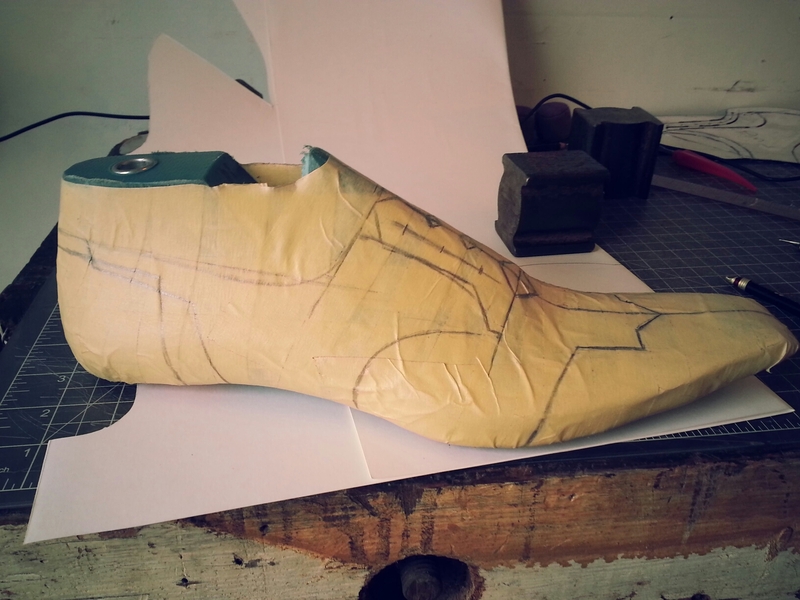 There are various ways to approach pattern making for shoes and boots but I mainly use a tape method. 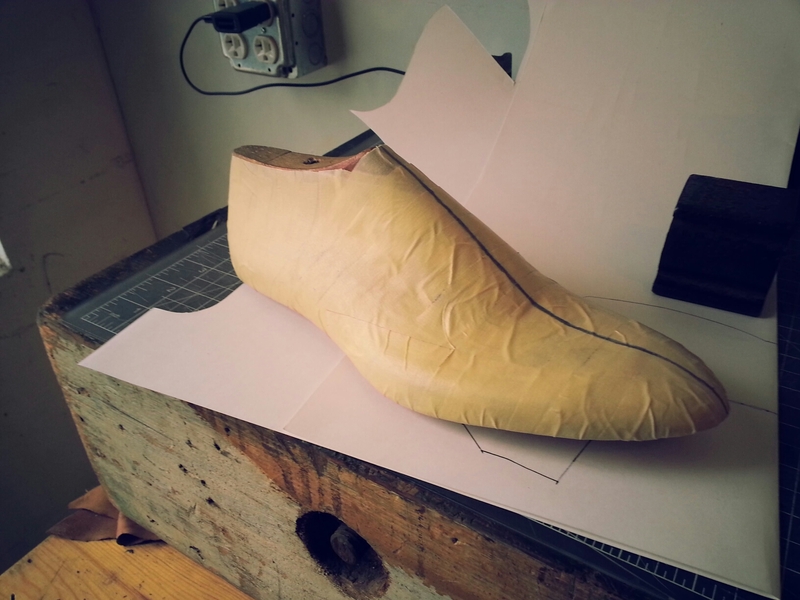 It all starts with taking the last that the shoe will be made on and covering it in tape. 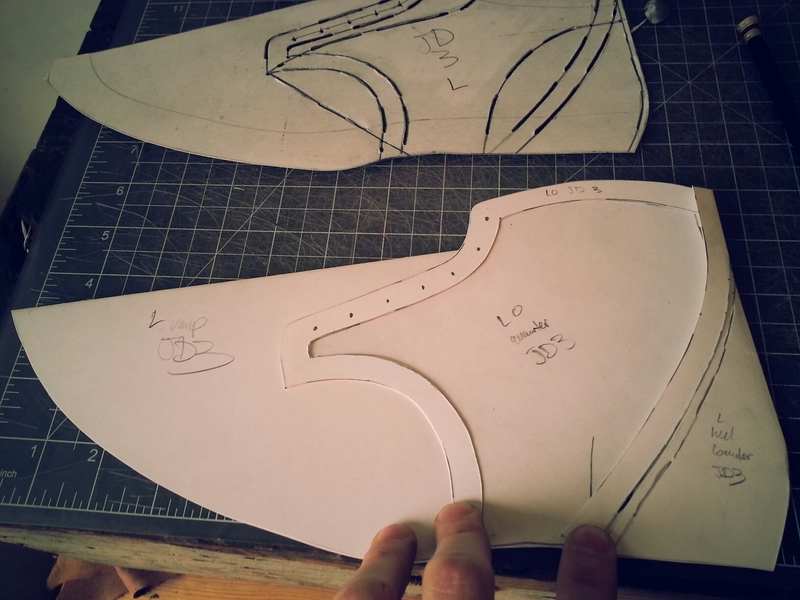 The above pattern has both the linings and upper design drawn and it can get busy or a little confusing depending on the design and lining patterns created. This particular design above is a re-do of a art deco inspired shoe, after which the customer and I decided to alter the original pattern. 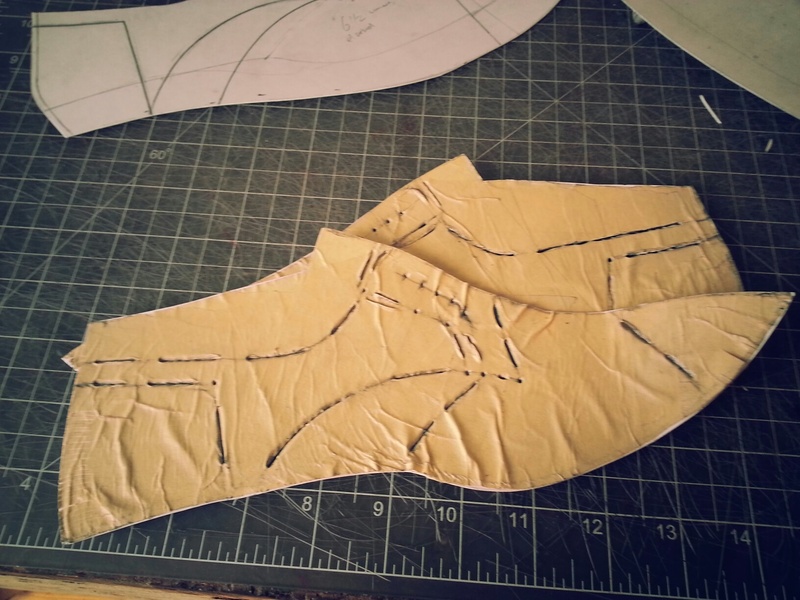 Once every line looks symmetrical and the design looks cohesive it is time to cut on the center lines dividing the last, followed by the removal of the tape design onto paper. So that’s about it! It just takes a while to even out and make nice with the design details and even longer for me to decide to go forward with a new design. 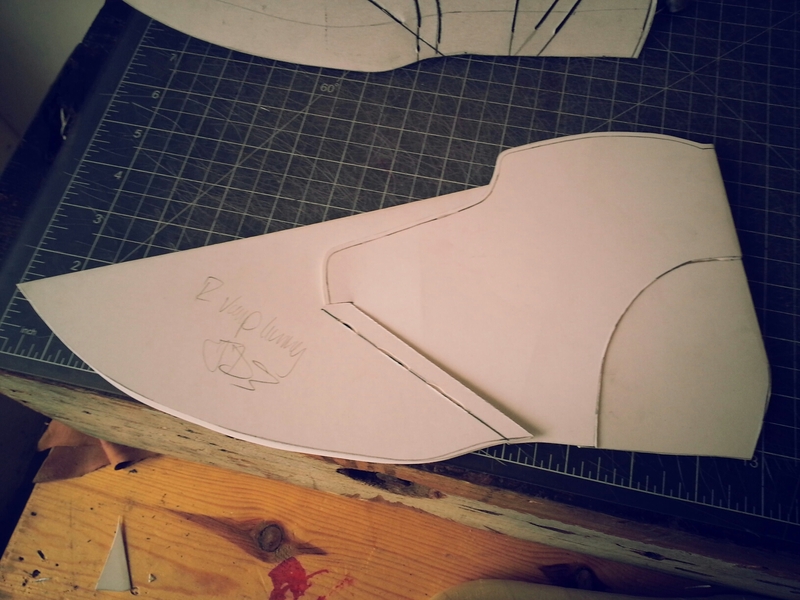 i want to learn to make patterns,but i dont get it how you obtain straight line from a curve one?thank you!